October 2011, Haakon R. Rasmussen started doing research for an article about how the increasing focus on physical security in the aftermath of the July 22.nd incidents the same year, could affect the scope of physical planning and architecture. The research encompassed interviews with a wide spectre of sources, from academic security experts in USA, via military sources, and finally our national security police in Norway, PST. 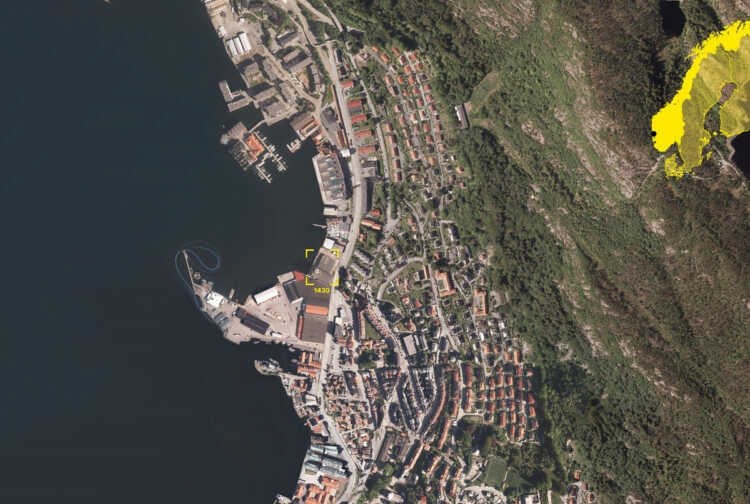 The discussions with PST revealed a mutually interesting fact; neighter the architects, nor the governmental agencies had a clear idea of what the “norwegian” approach to physical security should be. In the aftermath of this 3RW architects engaged in further dialogue with PST, and together we proposed a draft for a masters course to the Bergen School of Architecture (BAS). Parallel to this, two students at BAS had dedicated their diploma thesis to the topic of physical security, one of them, Erlend Andreassen Bolstad, at the time employed at 3RW architects as an intern. The other one, Anders Rubing, later became one of the editors of the book. BAS accepted the proposal from PST, and 3RW architects facilitated in the organization of the masters course. Professors Deane Alan Simpson, Vibeke Jenssen, and teacher Anders Rubing together with Haakon R. Rasmussen from 3RW planned the course and took 17 students on a 6 month journey from Palestine, Israel, London, Oslo and back to Bergen. The course attracted interest from the National Security Authority (NSM), KRIPOS, the norwegian Courts administration, the Governmental security service, and many other institutions who all contributed in the course. During the masters course the idea was born, that the discussions that took place between the students and the teachers, could be the framework of a discursive publication. Funding came from PST, NSM and COWI, and resulted in the book that is being launched these days. Haakon Rasmus Rasmussen from 3RW architects has been part of both organizing and facilitating the masters course, and as one of few architects with extensive experience in physical security from 15 years as an advisor to the Norwegian defence estates agency (NDEA), he was part of the specialists teaching at the course. He was also participating in the production, research, interviews, and the editing of the publication. Perhaps the most fascinating aspect about this whole project, is the open minded discussion conducted between academic and experimental environments, and the governmental agencies. The fact that a close collaboration was set up between these governmental services and a creative laboratory like BAS, is quite unique and we think its a good promise for the open minded spirit within the Norwegian stakeholders which can sustain a genuine “norwegian approach” to security.